As the mouse/ rat time of year approaches, many of you will be starting to think about putting rat poison down to control vermin. There are a few considerations when doing this if you have pets. Obviously the most ideal thing to do is not have rat poison on the property at all. This may not be practical but it is the safest way to ensure that your pet doesn’t get poisoned. The next best option is to ensure that there is no way that your pet can gain access to the poison to eat it. It is a little harder to ensure that they don’t eat affected mice or rats. Cats and Dogs can get poisoned by either eating the poison itself or from eating poisoned rats/ mice. Rat bait works by inhibiting the Vitamin K dependant clotting factors in the blood. This effectively means that the animal’s ability to clot its blood is compromised. The lethal dose of most rat baits is not very high for small animals like dogs and cats and it is very common for them to eat enough bait to cause death. Without treatment over subsequent days this can result in death by haemorrhage which is most often internal and difficult to see. The clinical signs or the way this will affect your animal will vary greatly because the signs are caused by bleeding into certain body cavities and areas of the body. Some of the common signs we see, which occur generally 2-5 days after ingestion of the poison, include lethargy, vomiting, weakness, lameness, coughing, laboured breathing. Initially a veterinarian would examine your pet and may find abnormalities such as pale mucous membranes, increased respiratory rate, lameness etc. If we are suspicious of rat bait poisoning we will run a blood clotting test here in the clinic and make a diagnosis based on that result. Vitamin K1 is the treatment for rat bait poisoning, however there is a delay in the response to Vitamin K and some animals, mainly those who are seriously unwell, will require Plasma or Blood Transfusions to save their life. Vitamin K1 will also be required in the cases which required a transfusion. Most animals required extended courses of Vitamin K1 – usually 4-6 weeks as most modern rodenticides have a long duration of action. 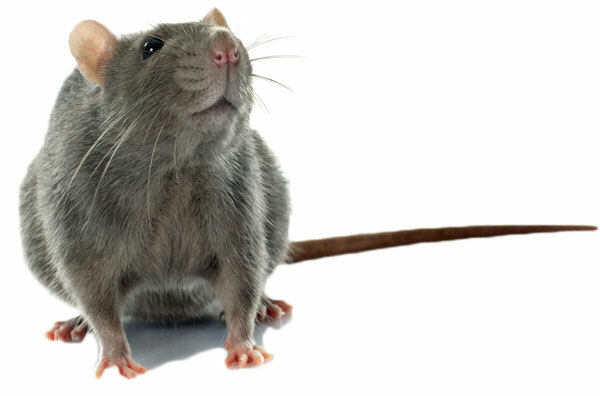 WHAT IF YOUR PET HAS JUST EATEN RAT BAIT OR YOU FIND MISSING BAITS? If you see your pet eat rat bait you should phone the vet clinic immediately so we can arrange to induce vomiting and eject the bait from the stomach. Depending on how long ago the pet ate it and whether any bait is produced in the vomit we may recommend a blood clotting test in 3 days time to ensure your pet is out of danger. In some cases we treat with Vitamin K1 at this stage to ensure the pet is safe. Taking these actions can save your pet and also save a lot of money compared to having to give blood/plasma transfusions and extended course of Vitamin K1. It can be helpful to bring the packet or notify your vet of the type of rat bait used as this can change the length of treatment with Vitamin K1 that is required. However most baits these days are ‘second generation’ which require the long course of treatment.